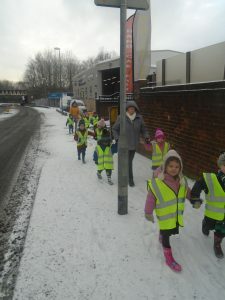 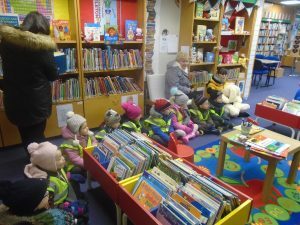 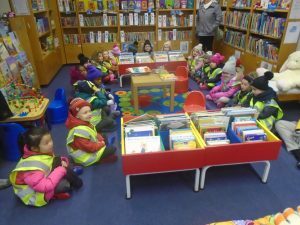 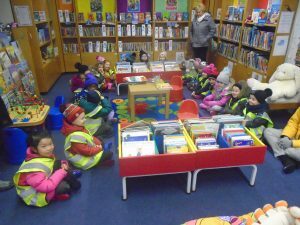 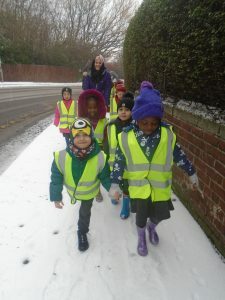 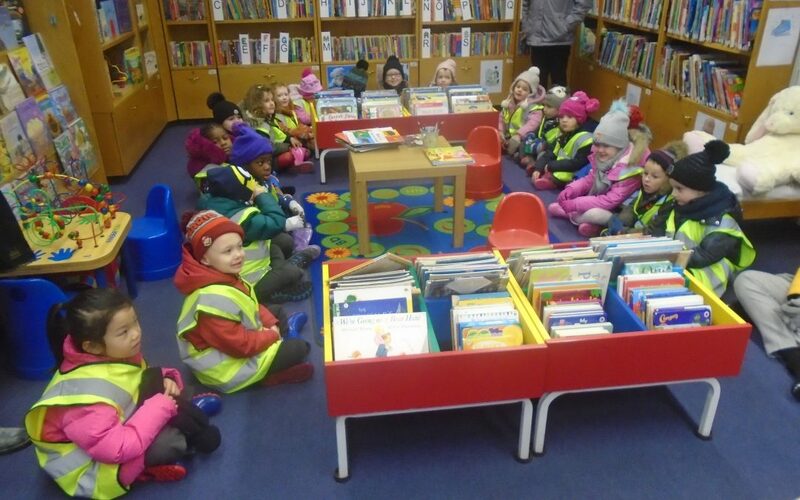 We had a lovely snowy walk up to the library for National Storytelling week. 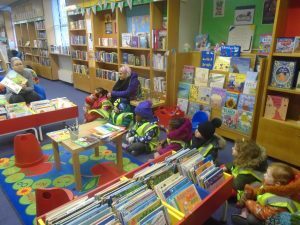 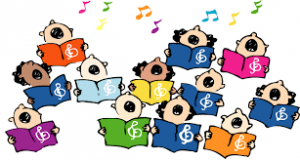 A librarian read us a story – we really enjoyed listening to Stick Man by Julia Donaldson. 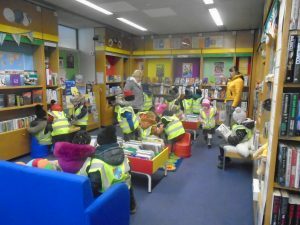 We learnt about the different types of books at a library and we learnt how to borrow books. 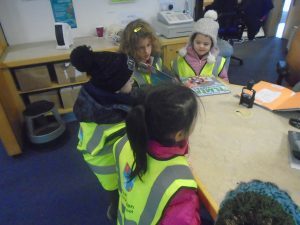 Then we each got to choose a book to borrow to read at school.